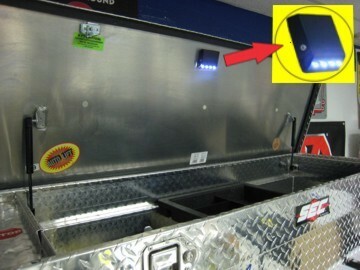 The Top Lite self contained lighting system for truck tool boxes, tonneau covers and construction job site boxes. Have you ever needed to get something from your toolbox at night, such as a flashlight, and had trouble finding it in the dark? Our Top Lite™ can help! The unique tilt sensing switch turns the Top Lite™ on automatically when the lid is opened, and turns it back off when the lid is closed! No more fumbling around trying to find what you need in the dark. Automatic On/Off when your lid is raised or lowered. Battery powered using (3)AAA batteries. Low profile steel case for durability. Bright white LED lamps provide intense light. 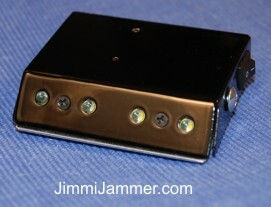 Manual switch turns light off when lid is up to conserve battery life. with opening or closing of the lid! We also make a version of the Top Lite™ for motorcycle luggage!